GRAFENWOEHR, Germany — U.S. Army Garrison Bavaria holds its annual Total Army Sponsorship Program Rodeo Wednesday, Feb. 15 from 9:30 a.m. – 4 p.m. at the Multipurpose Facility, Bldg. 134 on Rose Barracks. The rodeo is designed to give leaders, supervisors, sponsors and potential sponsors the resources they need to build effective sponsorship programs in their organizations and help their newcomers get off to a strong start. The event includes more than a dozen service providers from across the installation, ready to talk with rodeo-goers about the support they provide to incoming Soldiers, civilians and families. What service providers, such as Housing, Tricare and Child & Youth Services, will assist families during their transition. 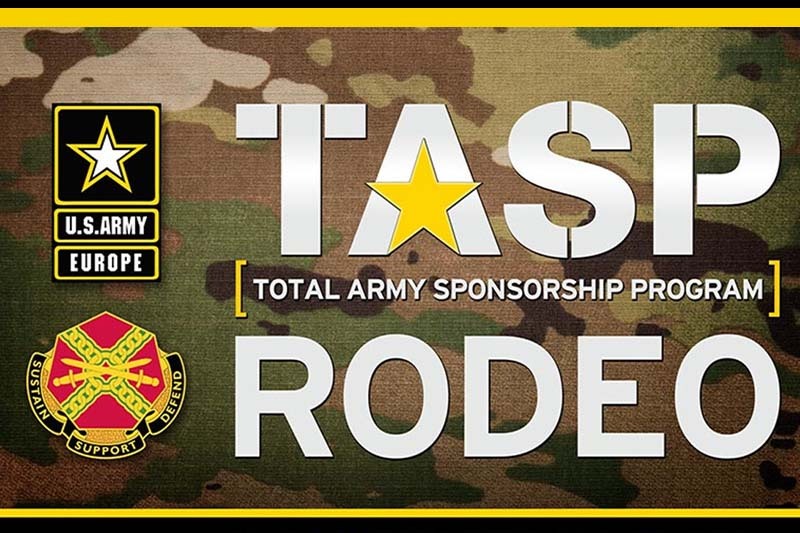 The Rodeo will also cover the newly integrated requirement for Europe established in Jan. 2016: use of the Army Career Tracker Sponsorship Module to request and track sponsorship for all E1s to O6s. For more information about the Sponsorship Rodeo, call DSN 475-8855 or CIV 09641-83-8855.